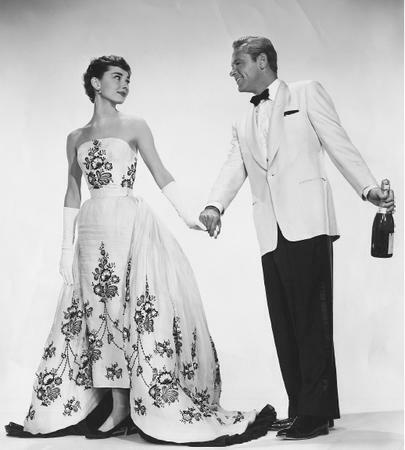 In the 1954 movie Sabrina, Audrey Hepburn's character wore a stunning Givenchy wedding gown with black lace details. As demonstrated by Hepburn, black lace can be so elegant when used in all the right ways. Black accents on a wedding gown can be a bold statement, and very fashion-forward. Vera Wang incorporated beautiful black ribbons and sashes in her Fall 2010 Bridal Collection. As the bride, if you're traditional, and set on an all-white gown, consider adding touches of black lace to your wedding details. 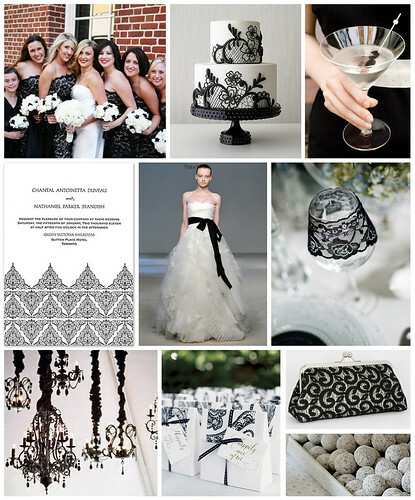 With touches of black lace, your event is sure to be glamorous and chic.